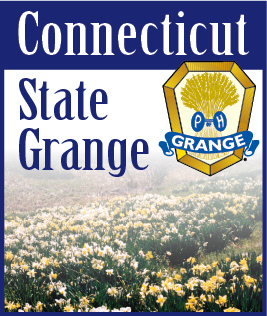 Do you sell your Grange to the media, and to prospective members? What methods do you use to get your Grange into the spotlight? With the media cycle passing by at lightning speeds, and attention spans shortening, information is often forgotten as quickly as it appears. This is where a strong pitch becomes an important part of your Grange public relations toolbox. What is a pitch? A pitch is a short statement detailing a potential story, event, activity or project, with the goal being to catch the attention of the target audience (such as the media, the public, and even members). In order to navigate the communication waters, your Grange needs a creative, innovative and interesting pitch to be sure to stand out in the crowd. Here’s a few tips and tricks to crafting that perfect pitch and get your Grange noticed. • Stay Timely. Your Grange might have a vault of historical information you can draw off of when selling your Grange, just be sure to only use past information as a foundation. Stay relevant to today’s Grange when crafting your pitch. Keeping up-to-date with trends and news stories is important for your Grange, so that you can execute a pitch that not only catches attention, it is current to the audience. • Be Creative and Original. Thousands of pitches are sent to your local media on a weekly, if not daily, basis. These pitches are continually read and heard by the people you want to join and support your Grange. If your Grange does not stand out, it will be lost in the crowd and not gain the attention it deserves. Think beyond the boundaries of what you want to say, and how your Grange can make an impact with the reader. • Be Human. Make your Grange personal. People relate to emotions - it’s a fact of life. If you are pitching your Grange on a level that hits below the surface with your audience, there is a good chance your Grange will not only engage but garner good coverage in the media. Make a lasting impression by encouraging your audience to say “Aww” or “Wow” when they read/hear your pitch. The manner in which you pitch your Grange story is important - and can make all the difference in the amount of attention your Grange receives. Pitch your Grange in a timely, creative, and human angle, and the likelihood of making an impact on your audience will increase ten-fold.